The Commission has been asked by Government to consider whether two existing groups of offences dealing with hate crime should be extended. disability, sexual orientation or gender identity. 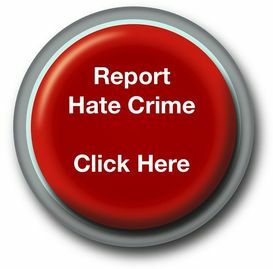 A crime is recorded as a hate crime if the victim or anyone else believes it to have been motivated by hostility or prejudice based on a personal characteristic. The criminal justice agencies monitor hate crimes related to five main characteristics – disability, gender identity, race, religion and sexual orientation – but not all the existing legislation that protects victims from such crimes covers all five. The Public Order Act 1986 makes it an offence intentionally to stir up hatred on the grounds of race, religion and sexual orientation, and the Crime and Disorder Act 1988 creates racially and religiously aggravated offences. The Commission’s review will ask whether these two pieces of legislation should be reformed to extend protection to all five groups and, if so, how it should be changed. The review will be led by Professor David Ormerod, Law Commissioner for criminal law. Professor Ormerod said: “Hate crime can be devastating for its victims, and it can divide communities. We welcome this request from Government to examine the case for extending the protection of existing hate crime legislation to anyone who suffers abuse because of their disability, gender identity, race, religion or sexual orientation”. The Commission aims to report to Government in spring 2014.